The hook (TMC 7999) would cost you around 75 cents! Yeah, those were all thoughts that went through my head at first. Anything I sold locally would probably be for display, unfortunately, so online selling would be my only real option. Just throwing stuff at the wall here. Execution needs some work, but I like the design. Baitfish type patterns are always useful around here. A pheasant skin is an endless source of inspiration, isn’t it! I am loving the challenges presented by having the whole skin. Hope to get some more next month. A couple more additions to the pheasant project. 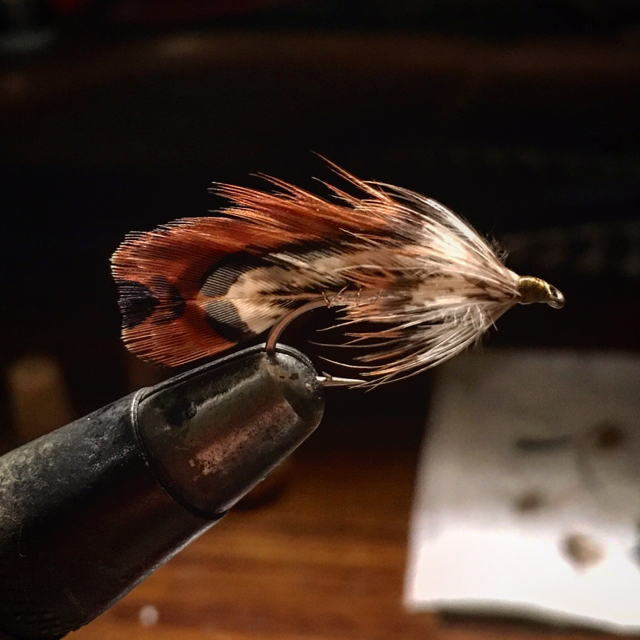 Upland Soft-hackle Streamers. Look like killers to me! I hope so! I just discovered Jack Gartside, there’s a man who knew the value of a pheasant skin. With his gurgler, he was one of the first to use the feathers from the Foam Feathered Fannie bird. Has anyone listened to The Feather Heist? 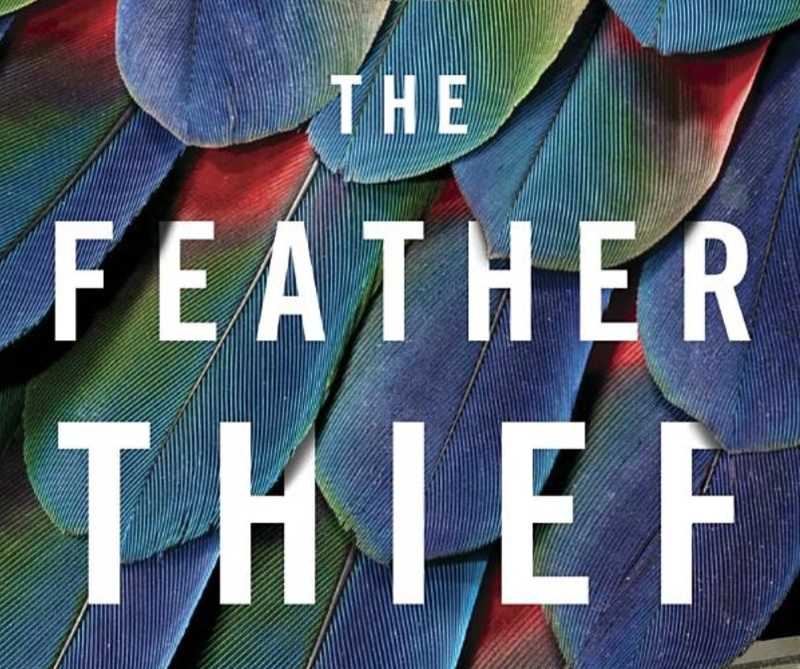 Great story telling around a young fly tyer who stole a bunch of feathers from extinct birds. The podcast is wonderful. The book is even more detailed and fantastic. As interesting, to me, the hugely negative response the book received in the salmon fly tying community. Guilty consciences, I imagine. True, the author didn’t address the fact that there are legal ways to acquire many of these rare feathers (zoos, for example, collect feathers from molting birds and sell them legally on the feather market). There are a few misleading moments and outright factual errors (ostrich herl, for example, is neither rare nor illegal to buy and possess), but that hardly negates the book’s main points - thieves and scoundrels often try to use a minor error in an indictment to discredit the greater, legitimate charge. The big problem for fly tiers is the opacity of most exotic feathers’ provenance and the difficulty of knowing whether a feather you are buying is legal or not. Still, the heist was condemnable. Many of the skin purchasers clearly knew they were buying stolen goods. And, in the end, any defense of either behavior is absurd. Which is why virtually all of the salmon flies actually fished are “guide” flies tied with hair, fur and substitute feathers that fish better, hold up longer and possess far less moral ambiguity. I've heard the story on TAL and read the book. The way Johnson set up this tale would be interesting to me even if I didn't tie or fish flies. So, I did bring down another pheasant today and have it skinned and covered in borax (the skin, not the bird). That worked well with my last one, but I can’t decide what to do with the wings. I don’t want to toss them if I don’t have to, and I’d rather not pluck them if I can preserve them. Has anyone bothered to preserve pheasant wings? How did you do it, and was it successful? Book is next for me. 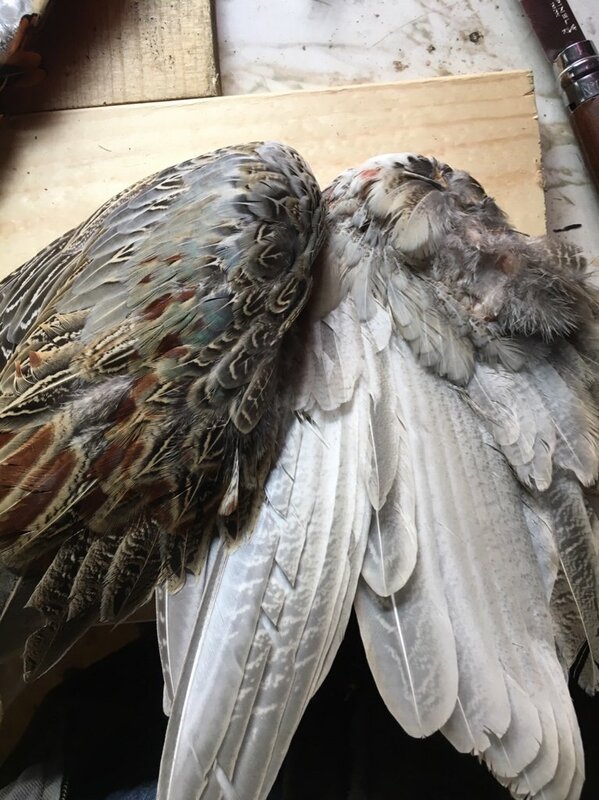 Last season I ran into a similar question with my Blue Grouse wings. I posted it on a couple of fly fishing and tying forums and I got the name of a book...Fly-Tying Materials: Their Procurement, Use, and Protection by Eric Leiser...I got the book for $4 on Thrift Books.com and was disappointed. It is a good book, but it said to wrap the wing in paper towel and place in a zip-lock bag and freeze it for 15 to 20 days and that would dry it out. Seemed to me to be an old school answer with questionable good or not so good results. I ended up plucking the feathers from the wings and saving them. There has to be an answer...maybe Youtube has a taxidermy tip video. If you are interested in the book, I have seen it for cheap on amazon and thrift books and other book sale sites...its old school and has a lot of good info for finding and using materiels. I have dried them first by salting (borax is better) the joint and setting them out in sun in the dry Colorado air. We dry wild mushrooms on screens this way, and given our elevation and low humidity it works as well as a dehydrater. Then, I put them in the freezer for awhile, unwrapped. After a week or two they have been dry enough to put into a Ziplock with the fly tying materials or bundle together for dog training.